Look at virtually any “best places to work” list, and you’ll likely find Google at or near the top. A 2016 report based on LinkedIn data found Google was the best at attracting and retaining its 60,000 employees, with benefits like free food, massages, and after-death benefits. Look on its website and you’ll find the company’s perspective on how to apply for a job at Google and stand out. But people who’ve been through the process can add additional insight. Here, six ex-Googlers weigh in with their perspectives on the Google hiring process. Of course, the first step in getting through Google’s doors is to make your resume stand out. That starts with showcasing your accomplishments, says Kevin Miller, director of growth at OpenListings.com, who worked in Google AdWords sales for two years. “Once you get to that table with Google, it’s likely because you’ve had a 3.9 or 4.0 GPA in college and you had done well in previous roles. Everyone else is on that same playing field,” he says. University of California, Berkeley junior Neel Somani recently finished his software engineering internship with Google. He was thoughtful about constructing his resume to highlight the education and experience he thought Google would be seeking. “I think being very clear and detailed about my previous experience was very helpful. I had a lot of experience freelancing, and I’m currently a student at UC Berkeley, so I think that the school probably helped as well,” he says. Of course, working your proverbial “six degrees of separation” can be a smart strategy. Nate Smith is CTO and cofounder of recruiting software company Lever and a former Google associate product manager (APM). He worked on AdWords reporting for Google Analytics, image search, and web search, among other things. He also worked on facilitate [user interface] review and learned from Marissa Mayer and Google’s senior design team for two of his four years there. “I owe my initial opportunity to interview for Google to a close friend of mine who referred me. She had joined Google as an APM the prior year,” he says. Beyond skill and experience, Google looks for a certain combination of qualities called “Googleyness.” In his book, Work Rules, former Google senior vice president of people operations Lazlo Bock defines it as a combination of fun, intellectual humility, conscientiousness, and a track record of having done interesting things, among other attributes. Googleyness is a reflection of your personality and has a number of elements, Miller says. “How easy are you to get along with? With the Google recruiting process, one question that you have to pass is every person who interviews you is asked, Would you want to work with this person every single day? Would you be happy if you sat next to this person every single day? Would you be able to do good work, and would you enjoy their company?” he says. Michael Brandt, cofounder and chief operating officer of HVMN, which manufactures nutritional supplements, held various roles at Google during his two-year tenure, including APM working enterprise privacy and YouTube, as well as a design consultant and instructor. He says the personality and interpersonal skills strengths that are part of Googleyness are essential for being successful in roles there. “You end up just being dropped into things, because there’s so much cross-product, cross-focus area, cross-specialist, specialty meetings,” he says. You need to be able to interact well with different people in different roles, he says. Preparation is important, and thinking about the questions that interviewers might ask is a good idea, Smith says. In his role, he interviewed other candidates for APM and product manager roles. He learned how to interview by shadowing his peers, then using other interviewers’ questions to come up with his own questions that he could use for multiple candidates, he says. 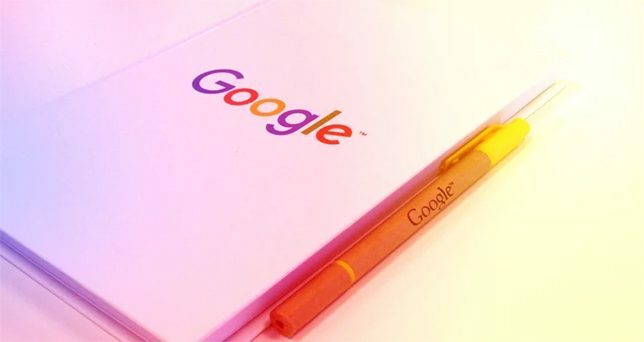 “Google’s APM questions evaluated a number of skill areas, including product judgment, analytical reasoning, a design exercise, and software engineering,” he says. He says Google assigned specific interview types to specific people on the interview panel. Interviewers also typically like when candidates have good questions for them, he says. “Tell me a time when” is a phrase often used to ascertain your Googleyness in interviews, Miller says. “‘Tell me a time when you overcame adversity.’ ‘Tell me a time when . . . ‘ A lot of times it will be subject-matter based, so if you were in a marketing role previously and you had talked about how you couldn’t get organic traffic to the website, they would talk about what you did when your boss came down on you. How did you react? How were you able to get around that?” he recalls. But other times, those questions might be life-related, Miller says. “People go through so many physical things in life, overcoming like an illness or something like that. They’ll ask, ‘Give me a story. How did you handle that when things weren’t looking so positive? What did you do to be able to overcome that?’” Here, the team is looking for personality and “who they are on the inside,” Miller says. Interviewing with Google is a big opportunity, and some might want to play it safe when answering questions. But startup adviser Falon Fatemi, who began working for Google when she was 19 in 2005 and left as a member of the YouTube team at age 26, says playing it safe could backfire. The interviewing team is looking for creativity and insight into what motivates you. Giving them pat answers isn’t going to work in your favor, she says. When she interviewed, she was asked, If she could choose another period of time to live, past or future, what would it be? “What they were really looking for was people that would give really big answers and have a sort of unique response. I think my response was that I would love to live in the ’60s in San Francisco and experience the Haight-Ashbury days,” she says. Before your interview, familiarize yourself with the products you would be handling in the role, especially if they’re consumer products, says Azhar Hashem, former head of marketing for Google Fiber and owner of Tawla SF, a Mediterranean-style restaurant in San Francisco. “Where is that product in terms of its maturity? Know how to critique it. What do you like about it? What can be done better? They want to see that you’ve critically thought about it and have more than a cursory understanding of the product,” she says. And don’t be afraid to have strong opinions about the products or your industry. They may ask you about an event–a marketing campaign or a product launch–that went well or didn’t go well. Go beyond the obvious responses (e.g., Apple). Choose a thoughtful example that fewer people will think of to help you stand out. Problem solving is an important skill for Google employees. Brandt recalls being surprised when, after a series of technical questions, his interviewer asked him, “How many uses are there for a traffic cone?” After he started brainstorming uses, he realized that there were actually many, ranging from directing traffic and organizing soccer games to filling it with frosting and decorating a giant birthday cake. “The point of the question there I think was just to get you to be good at risking, be good at speaking when you don’t have the exact right answer; it’s not even clear that there is a right answer. A lot of times the best ideas come when a group is working together and people are communicating openly and freely. And so that’s what that question was getting at,” he says. The people with whom you interview are likely not the hiring managers who will make the ultimate decision on your future with Google, Brandt says. The interviewers pass along their feedback to a hiring committee that decides whether to hire the candidate, he says. “The hiring committee is super experienced, not just anyone can be on the hiring committee. So look at an interviewer, and if the interviewer is relatively new at interviewing people, they’ll take that into account when they’re [considering] that person’s feedback,” he says. Brandt says that the system controls for certain biases and helps the organization find people who meet both the skill level needs and the cultural fit. So it’s important to use the interview to showcase what makes you different; what makes you stand out, he says. “I’m not the most absolute technical person. I get it, and I’m a computer science major and all that, and I’m reasonably technical, but that’s not where my gift lies. And I know where my gift lies. I’m extremely creative and communicative. So I tried to use the interviews to showcase that, even if the interview wasn’t necessarily about that,” he says. Impressing the interviewers enough for that to show through to the hiring committee is essential, Miller says. “I was usually the fifth or sixth person to go in there and just give another opinion of my two cents on how I felt that person would fit into our team. Would they be able to contribute at a high level and were we overly excited to have them? If the answer was a resounding yes, then that really would bode well,” he says. Gwen Moran writes about business, money and assorted other topics for leading publications and web sites. She was named a Small Business Influencer Awards Top 100 Champion in 2015, 2014, and 2012 and is the co-author of The Complete Idiot’s Guide to Business Plans (Alpha, 2010), and several other books.